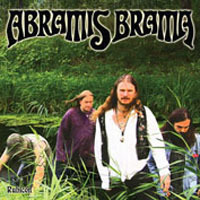 Reissue of long deleted 3rd album from ABRAMIS BRAMA, and what a blaster !! From the opening we get hard guitar riffs, borrowed from the 70's and like the 2 first albums, this contains Swedish vocals as well. Another crown jewel out of Sweden. New layout and a bonus track never before on cd.